Relaxed lounge settings promote personal connection and creative thinking. More companies are offering these environments at work — why not on hectic expo floors? 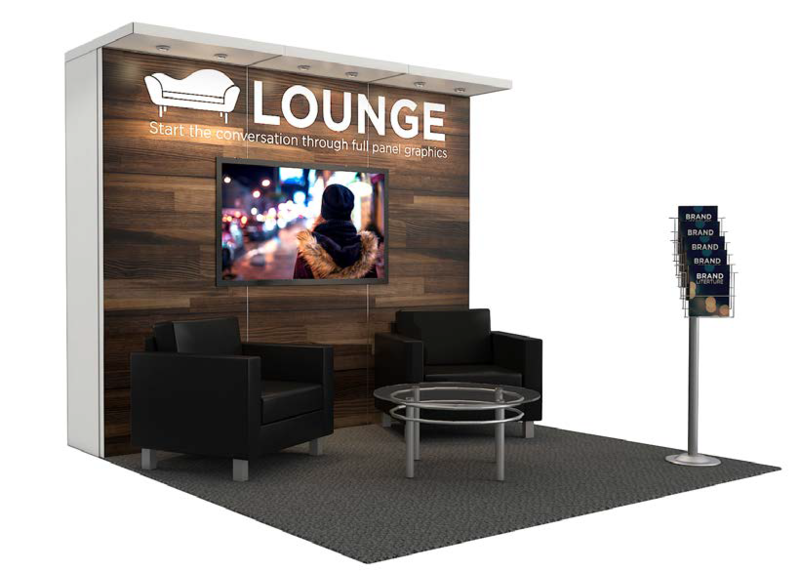 This set-up features exceptionally comfortable seating, a coffee table, a literature rack, a print back wall, and an optional monitor for brand and product video loops. Audio Visual/Monitors ARE NOT included in the package but may be easily ordered separately. Conceptual renderings only. Exact booth properties may vary by city and location of event. Audio Visual/Monitors ARE NOT included in the package but may be easily ordered separately.